Coconut oil really is an amazing product to have lying around your house that can be used for so many different things. For cooking. 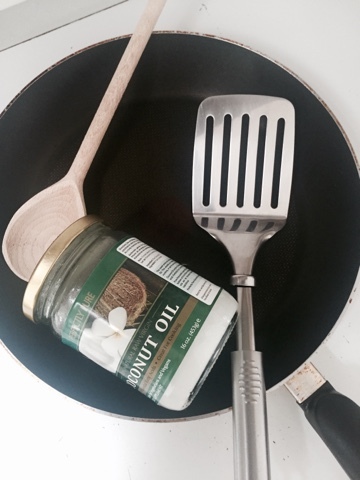 Coconut oil is a perfect, not to mention healthier, option as a cooking oil. It gives a beautiful taste and is so much better for you in the long run than the olive oil you have sitting in your cupboard! Using coconut oil for pancakes adds a unique touch to a beautiful breakfast, lunch, dinner or dessert. Another favourite in my house is using it along with French Toast, or as we Scots like to call it, Eggy Pancake. I know, I know. It can sound like a weird combination with other foods that aren't pancakes and French Toast but if you give it a try, I promise you will be pleasantly surprised! For your body. This really is something that I swear by. 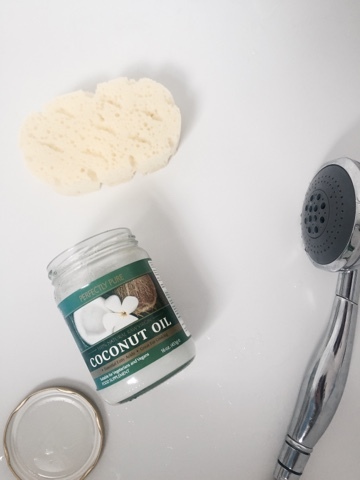 I keep a big jar of coconut oil in my bathroom because it is an essential as an in-shower and after-shower moisturiser. This helps to smooth and soothe dry skin to ensure that it stays baby soft. Also, I've been told it is fantastic for stretch marks! Where you can get it. 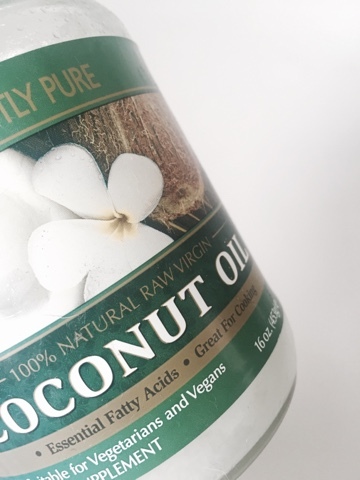 I get my coconut oil from Holland & Barrett stores just because they offer different size jars for different needs and also have really good deals going on in their stores throughout the year. I'd recommend you get a jar from here but there are loads of places where you can purchase some good ol' coconut oil.